Welcome to LaBell Exchange. Since 1975, we've provided exceptional call center and telephone answering services for our Los Angeles clients at very competitive rates. A seven-time winner of the prestigious ATSI Award of Excellence (awarded by our industry's trade association), our company is renowned for our courtesy, response time, and accuracy when answering phones. We serve a wide range of industries, including towing, equipment rental, property management, legal/attorneys, medical/dental, healthcare, plumbing, HVAC, bail bonds, municipal, and service companies. As we are staffed 24 hours a day and 7 days a week, our answering service can cover your Los Angeles business after hours, on the weekends, and over the holidays. At LaBell Exchange, we stay up to date with the latest telecommunications technology, so that we can give our Los Angeles clients access to all the best call center features on the market, such as advanced message delivery, voicemail trees, dispatching, call recording and forwarding, and more. Our phone operators are rigorously screened and trained to answer phones, take information, and guide callers. We have several bilingual (English and Spanish) phone operators, and also offer 24/7 translation line services. Each client is assigned a personal account manager, who will work with you to determine your specific answering service needs and to develop a custom script. A family owned and operated company, we've served Los Angeles and the Southern California area for almost forty years. We take great pride in our professional and personalized answering services. To learn more, call LaBell Exchange today. LaBell Exchange provides emergency, after hours, and full-time dispatching services. Our experienced phone operators are highly regarded throughout Los Angeles for their sensitive and compassionate handling of distraught callers during crisis situations such as death, physical injury, or arrest. Specially trained to handle all kinds of emergencies, we've dispatched paramedics, fire departments, and emergency response teams for our Los Angeles clients, ranging from oil field companies to industrial manufacturing facilities. We can also act as a receptionist and dispatcher for small service businesses, such as plumbers and towing companies. Our goal is to treat each caller with courtesy and respect, while also ensuring that all needed information is extracted from the caller so that the appropriate party can be contacted for dispatch. 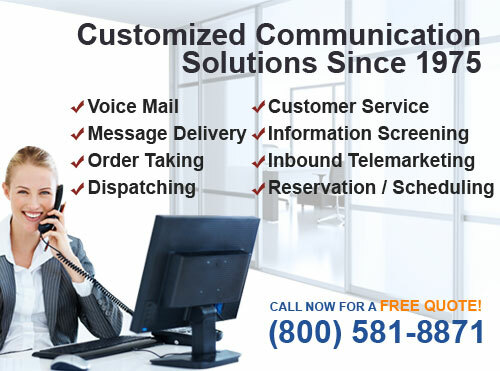 We use the latest CMC software as part of our call center services, and work with each client to establish a protocol to meet your Los Angeles-based company's specific dispatching needs. We provide each of our Los Angeles customers with a unique voicemail account. This account can be personalized with custom greetings, voicemail trees, and message access features. You can retrieve your voicemail messages at any time and from any location, as well as setup your account to receive notifications or forward messages via text message, email, or phone. Because clientele needs vary depending on their industry and company size, our clients can expect to receive a thorough assessment to create voicemail services that reflect their unique needs. This can include initial greetings, connections to specific departments/employees, informational recordings (your company's hours, location, emergency contacts), and access to live operator services. Our company places a high value on courtesy and professionalism, which is why, for almost forty years, Los Angeles businesses have come to us call center-based customer service. Whether your account is in the legal, medical, dental, property management, municipal, or service industry, we tailor our telephone answering services to meet the specialized needs of your business or organization. Because our operators can be trained to follow your pre-approved script and also be instructed to forward calls when appropriate or take messages and forward them as instructed, we can act as your complete customer service department and present ourselves as such. We are a 24/7 call center, and have been presented with the ATSI Award of Excellence for our outstanding response time, accuracy, and overall phone answering service for seven consecutive years. At LaBell Exchange, our virtual receptionist services are a highly popular and cost-effective solution for Los Angeles businesses and organizations that require a live operator to answer phones, manage schedules, take messages or reservations, route calls, and more. 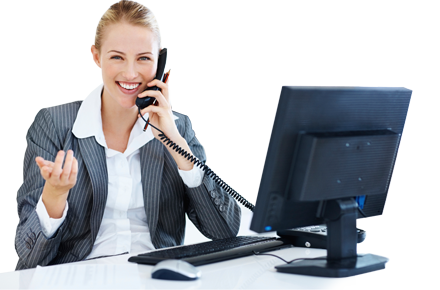 We tailor our virtual receptionist/phone answering services to meet your individualized needs. We can provide reservation and schedule management services, and have worked on projects ranging from seasonal flu campaigns for hospitals to financial/retirement planning seminars. Our technology allows us to manage projects, gather analytics, and measure overall performance, and we can integrate additional call center features into your account. Additionally, our phone operators can present themselves as part of your office staff and ensure a seamless transition between our call center and your Los Angeles business. Our phone operators are highly skilled in taking and delivering messages for our Los Angeles customers. Each operator receives extensive phone answering training, and can work with callers to gather information and type messages quickly and accurately. We can then deliver those messages via phone, fax, email, or text to the appropriate recipient whether they are in another department or out in the field. Our advanced message delivery services can also include dispatch services in which we'll keep callers on the line while we confirm that a service technician is available and has all the information they need to provide assistance. At LaBell Exchange, we always treat our callers with courtesy and professionalism. To learn more on how we can assist your business or organization in Los Angeles, call us today. We provide information screening and survey services for commercial and municipal customers throughout Los Angeles. Our call center has served a wide range of clientele, from assisting human resource departments in screening prospective job applicants; to helping companies determine customer eligibility for product recalls; to working with attorneys on class action lawsuits. Whether it's to guide callers through questionnaires, surveys, or interviews, our professional phone operators are committed to treating each caller with dignity and respect. We're highly experienced in handling all kinds of accounts, and can answer frequently asked questions or direct callers to appropriate departments when they require more information. To help clients measure overall project performance, we can record calls and gather phone analytics. For inbound telemarketing and order taking, our call center can be a cost-effective solution for your Los Angeles organization or business. Our live operators are highly skilled in answering phones, taking leads, gathering information, and guiding callers through sign-ups, registrations, and orders. With order taking, we offer our clients the option of inputting orders directly into their company website or system, or into our own internal system (with custom order forms that list the product, price, customer payment information, and shipping/handling/tax charges). Our operators can submit orders instantaneously or in batches, and can send them to your company or directly to your fulfillment center. Since accuracy is critical, we always verbally verify all orders to ensure we have the correct information. Call today for a free consultation and estimate. 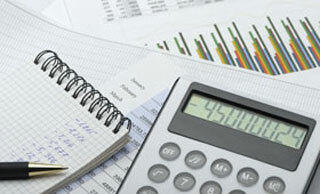 Pricing plans are cost-competitive and based upon usage. Contracts are month-to-month with no long-term obligations.